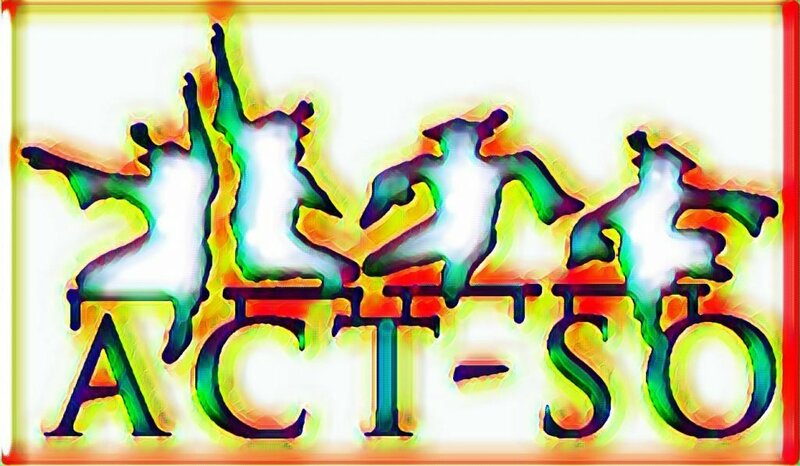 The ACT-SO Showcase is coming up fast, on April 27th at the fabulous World Beat Center. We have nine students across 13 competitions, so it’s going to be a very busy day. However, there will be frequent intermissions and you’re free to watch only those competitions that interest you. There’s a lot to see both in the Beat and in the Park outside, so there is plenty to do while you are waiting. Our day will be divided into two major blocks; 1-3pm and 3-5pm. Each block will be divided into multiple sections of related competitions. Once the 3-5pm block ends, we will present the scores and the Showcase will be done. PLEASE ARRIVE WELL BEFORE THE START OF YOUR BLOCK. We cannot give you an exact start time, as things inevitably change as the day goes forward. If you are in the 1-3pm block, please arrive by 12:30pm. If you are in the 3-5pm block, please arrive by 2:30pm. When you arrive, check-in at the student table, and you will be directed to the Green Room to wait to compete. IF YOU MISS YOUR PERFORMANCE TIME, other competitors will be called to perform. Once all the other competitors in your section (Visual Arts, Music, Humanities, STEM, Performing Arts (Spoken)) have gone, you will have another opportunity. IF YOU ARE STILL NOT PRESENT AT THAT TIME, YOU WILL BE UNABLE TO COMPETE. We will seat all the judges for a single section (Visual Arts, Music, Humanities, STEM, Performing Arts (Spoken)) at one time. You may not be judging each competition in the section, but please don’t wander off into traffic until the whole category is finished! We will present scores at the end of the entire competition. If you are in the 1-3pm block, your scores WILL NOT be available until then. Be sure to come back at 5pm if you want to get your score! The awards and actual scholarship checks will be presented at the NAACP San Diego Branch General Membership Meeting at 6pm on May 2nd, 2019, in the Community Room at the Joe and Vi Jacobs Center, 404 Euclid. We are looking for 8-12 more volunteers for the Showcase. We need people for setup, teardown, to run a video camera, to welcome students, judges, and other volunteers, and more. Please write us at [email protected] if you can help!